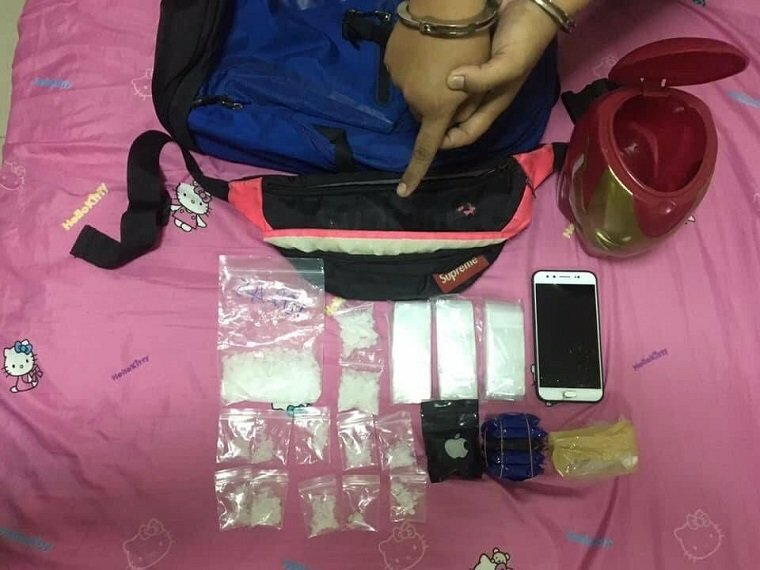 A man was arrested with 66.03 grams of crystal meth or “ice” and 1,200 methamphetamine pills at an apartment in Bangkok’s Thon Buri district on Tuesday. Acting on a tip-off, police from the Bukkhalo Police Station and soldiers raided the room on the second floor of the 68 Living Apartment on Soi Charoen Nakhon 68 in Dao Khanong sub-district at 1pm and arrested Surachai Nikornsawat, 21. Surachai claimed that a friend, known only as Boom, had given him Bt4,000 to look after the drugs. Arrested because he did not have a work permit and was taking away business from the "officious assertive" vendors ? So, if you’re too stupid, you shouldn’t be charged-as a defense?